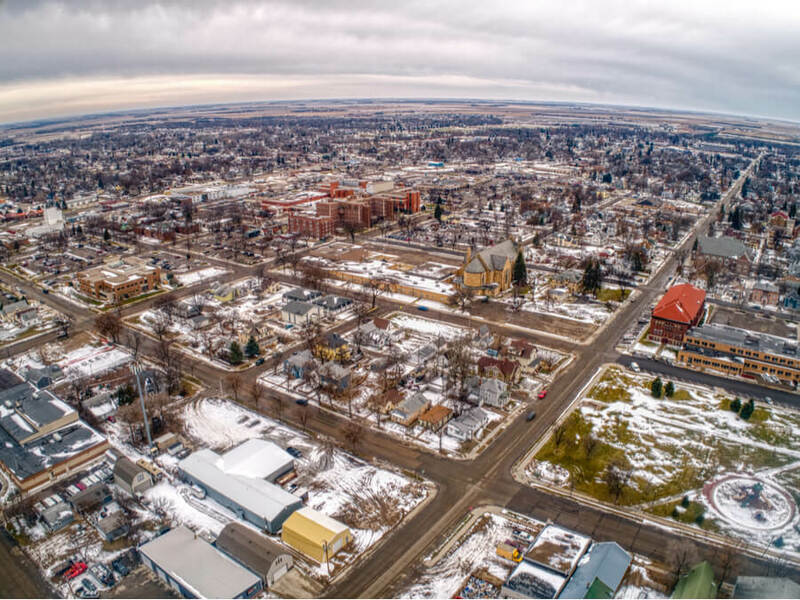 Worthmore Addiction Services is known as a substance abuse treatment and rehabilitation center located in Aberdeen, South Dakota. The facility was established in 1978 and offers its services from the premises of St. Luke’s Hospital. Both the addiction treatment center and the hospital at large are run by the Avera network, an organization that offers healthcare services throughout the Midwestern region. Worthmore Addiction Services provides a wide spectrum of behavioral healthcare services that form a continuum of care. These include on-site detox facilities for a number of different types of drugs, a residential program, a stepped down partial hospitalization program, and an outpatient program. These different programs offer prospective clients a wider range of options to choose from to better suit their needs. Treatment at this facility commences with an initial assessment that is offered to every incoming client. This test allows the team at the facility to diagnose and ascertain every client’s issues and needs. This is followed by the drawing up of individualized treatment programs in conjunction with the client’s needs and preferences. Furthermore, the facility also offers dual diagnosis alongside alcohol and drug rehabilitation. Substance abuse victims often suffer from underlying mental disorders that either cause or stem from their addictions. The dual diagnosis program allows clients admitted at Worthmore to seek further treatment at the mental health department at St. Luke’s Hospital. Worthmore Addiction offers a residential day program for which clients are required to attend lectures and therapy every day from 8.30 in the morning to 4 pm in the afternoon. The facility is located in a spacious campus that provides clients with a peaceful ambience that is perfectly conducive to their recovery. Food and snacks are available in the cafeteria for clients to avail at their own leisure. The treatment options offered at this facility are highly specialized and designed to address the particular needs of individual patients. Worthmore provides clients with both inpatient treatment as well as outpatient support. This allows clients who need more intensive treatment and supervision to opt for the inpatient option. On the other hand, patients who have worked or family obligations to keep up with usually choose to undergo treatment in an outpatient setting. The Worthmore facility is well equipped to deal with a number of different types of chemical dependencies that most victims are commonly found suffering from. With over 40 years of experience in treating substance abuse problems, this facility provides a continuum of care that facilitates mental, spiritual, and physical healing. Additionally, their family therapy program comprises of educational lectures that aim to sensitize the family and friends of the victims to their needs. These sessions ensure that clients have access to a strong support group to facilitate their emotional well-being throughout their treatment. Ashley Cahoy has been working as an addiction counselor at Avera St. Luke’s since August 2018. In this position, she oversees initial assessments and intake. She also oversees planning and implementation of treatment programs while also conducting individual, group, and family therapy sessions. She has a Bachelor of Science in Psychology & Sociology from the South Dakota State University. Christina Lloyd works as Prevention coordinator at Worthmore Addiction Services. This role requires her to conduct various lectures, workshops, and individual counseling sessions. The primary aim of these sessions is to ensure relapse prevention through timely interventions. Wendy Lohan has been serving as a nurse and addiction specialist at Avera Health since April 2017. As an addiction specialist, she provides support to inpatient clients as well as counseling to inpatient and outpatient clients suffering from alcohol and drug addiction. She has about 10 years of experience in the field of behavioral healthcare and an additional 10 years as a nurse in various general hospital departments. She has a Bachelor of Science and a Master of Science in nursing from the South Dakota State University along with an MS in Addiction and Mental Health from Hazelden Betty Ford Graduate School of Addiction Studies.